A Denver venison leg is all the muscles from a deboned deer hind leg that have been separated & cleaned of surface membranes. First the leg is separated into the four sub-primals (rump, knuckle, topside & silverside), then those sub-primals are split into the various muscles (1 rump, 3 knuckle, 2 topside, 2 silverside) for a total of eight individual pieces. 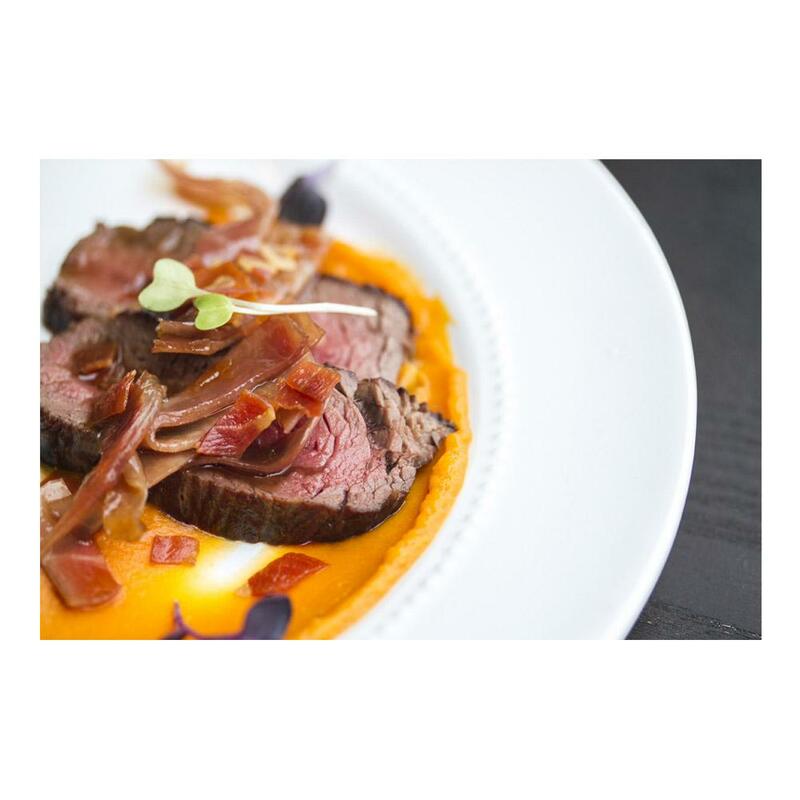 What is surprising is that the quality of Silver Fern Farms venison is such that the cuts in the Denver leg are tender enough to be used in applications typically reserved for more expensive cuts: steaks, medallions, chateaubriand, etc. 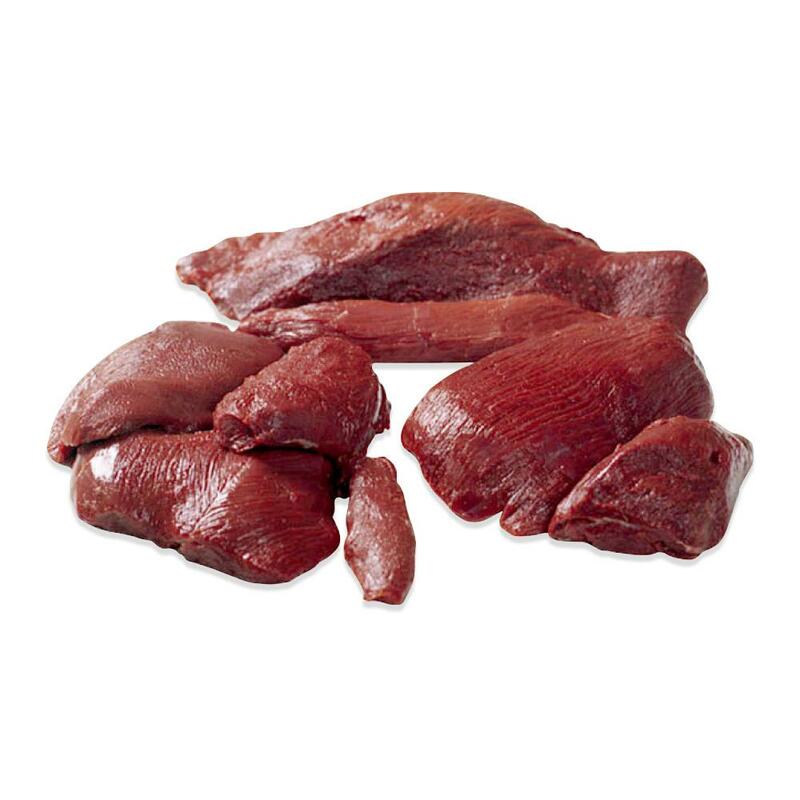 Store venison Denver leg muscles in your freezer until you're ready to use them, then thaw only as many as you need. 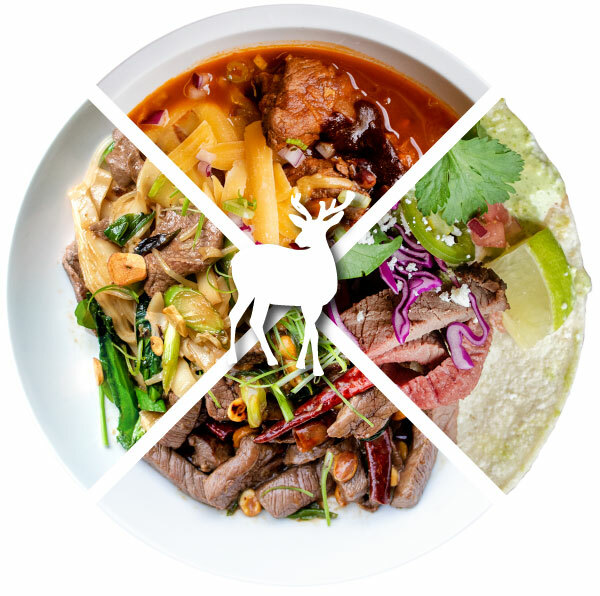 Pieces from the Denver leg can be cooked whole as venison roasts or cut to create medallions, steaks, noisettes, butterflied steaks, mini roasts, stir fry meat, or kebabs. Venison pairs well with fruit flavors like apples, pears, and cherries. Also consider cooking with fresh mushrooms, juniper berries, thyme, rosemary and red wine. Sweet potatoes, polenta, and risotto make good starch pairings. It is important not to overcook venison. Because it is so low in fat, cooking it too long can make it tough. Most chefs prefer to serve venison either rare or medium-rare. Before carving or serving any cuts larger than a small medallion, you need to rest the just-cooked meat (covered) to let its juices thicken so they won't run out onto the cutting board. The larger the cut, the more time it will need. In addition, while the meat is resting, it will continue to cook a few degrees, so for your perfect rare, etc, remove it from the heat a couple of degrees early. Plan on resting whole Denver leg muscle roasts for about ten or more minutes, smaller steaks for three to five. "Of all the venison cuts we carry, Denver leg is the one I'd most likely buy for myself and work with at home."